HEATHER SULLIVAN is an active member of Ocean State Poets, a group whose mission is to give voice to Rhode Islanders by conducting workshops in prisons, nursing and group homes, addiction recovery centers and alternative learning environments. Sullivan is the editor of two poetry chapbooks, Butterfly Wings and Poems on Branches, published by Salve Regina University, featuring the works of 75 individuals. In 2007, Heather was appointed Assistant Creative Director of the Rhode Island Writers’ Circle, where she volunteered until 2010. In 2007, Sullivan served as a panel judge for Barnes and Noble’s State-wide Maya Angelou High School Poetry Contest. Heather holds an M.A. in English and won First Place in Writers’ Digest’s 1999 Competition in memoir / personal essay category. 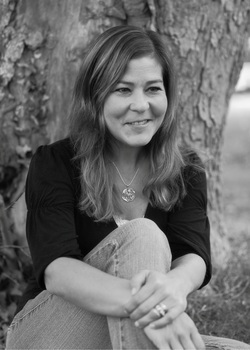 Sullivan’s work has appeared in Tiferet: A Journal of Spiritual Literature; Balancing the Tides: A Newport Journal; The Writers’ Circle’s 2008 & 2010 Anthologies; Newport Round Table’s Walls and Bridges Anthology; The Providence Journal; Newport Life Magazine; The Newport Daily News and She Shines Magazine. Her essay Compassion aired on Rhode Island’s National Public Radio’s This I Believe series, and she has recorded her poetry for Insight Radio for the visually impaired. It is too soon to tell. Are you going to rhyme? I am speaking through the door. Notice: I am milk pooled on the floor. The irises keep blooming here on time. Again this June, again green stems emerge. stark clarity of purpose, worlds converge. to understand the workings of this place. and hold their heads above the dew-cleansed moss. and curl immortal in soft wombs of earth.